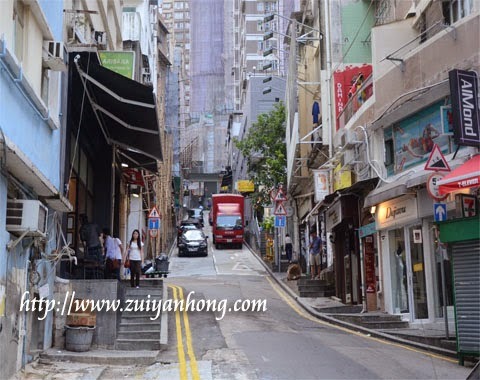 From Caine Road, we captured street pictures while heading to Elgin Street. 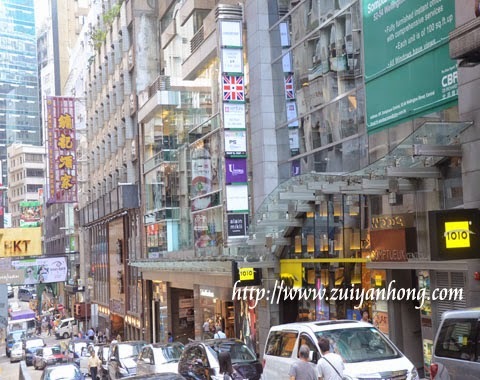 Elgin Street is located in Central, Hong Kong. This street was named after James Bruce, Earl Elgin 8. 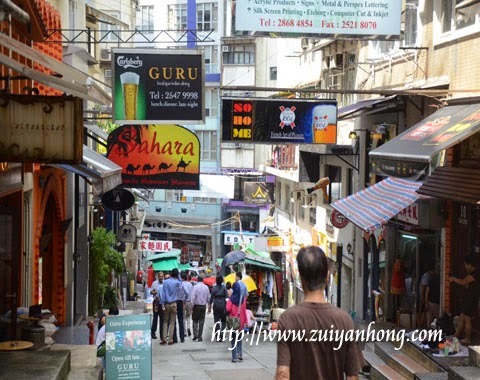 As shown in the photo, Elgin Street is one of the old streets in Central. 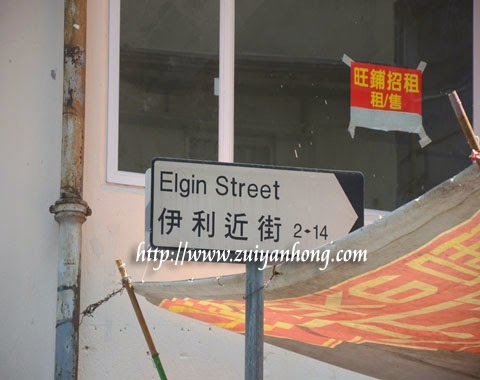 Elgin Street was also known as Mud Street in old time because the street was muddy during rainy day. 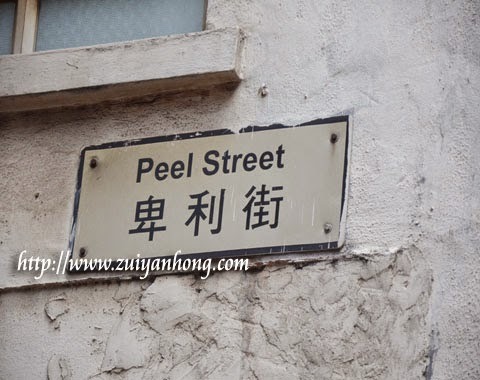 Besides Elgin Street, Peel Street is another street situated in Central of Hong Kong. 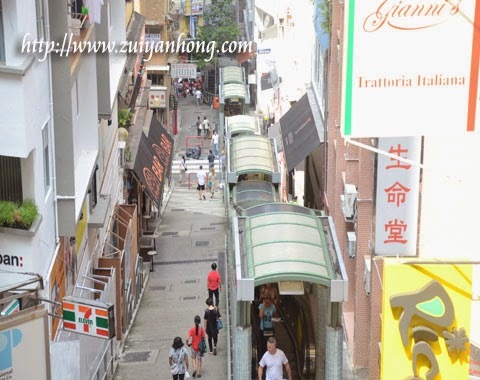 As you can see from the photo, Peel Street is narrow and slanting at the slope of Victoria Peak. Cafe Chocoholic is a chocolate theme cafe along Peel Street. From what I know, Cafe Chocoholic had stopped operating. 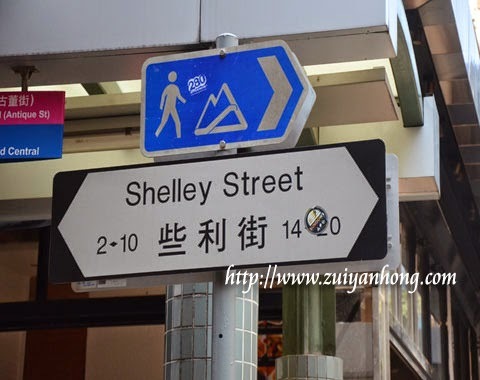 We arrived at Shelly Street after wandering along Elgin Street and Peel Street. Shelly Street is a ladder street. 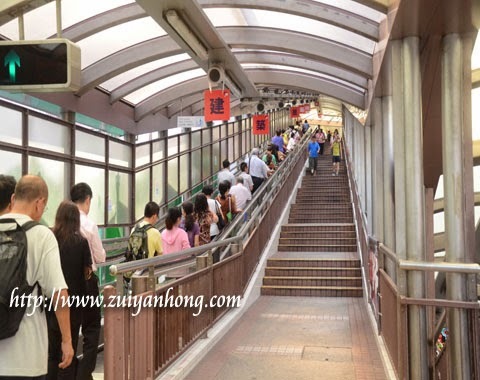 Escalator to Central–Mid-levels is available for visitors. 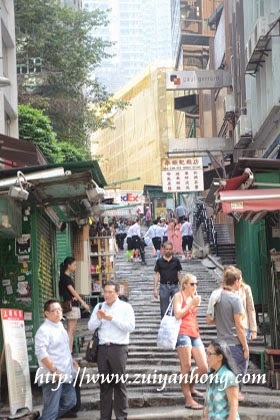 This photo shows the Central–Mid-levels Escalator. 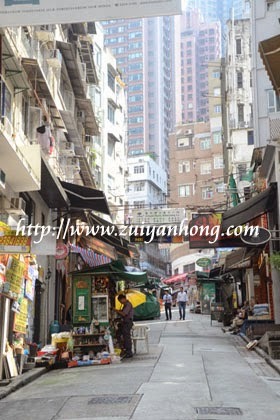 Central–Mid-levels is a prestigious residential area in Hong Kong. This photo was taken from the escalator. 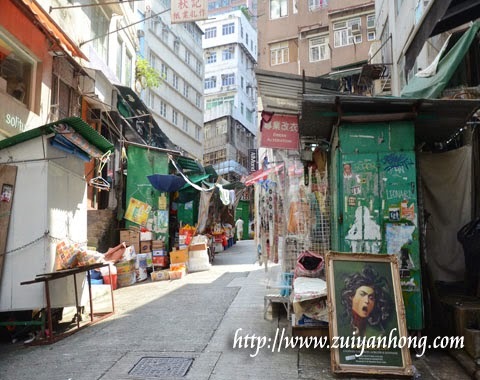 The name of this street is Lyndhurst Terrace. There is a famous bakery, Tai Cheong Bakery at Lyndhurst Terrace. Wellington Street is wider and the traffic is truly heavy. The buildings along Wellington Street are new and higher. There is a wide range of shops around Wellington Street. 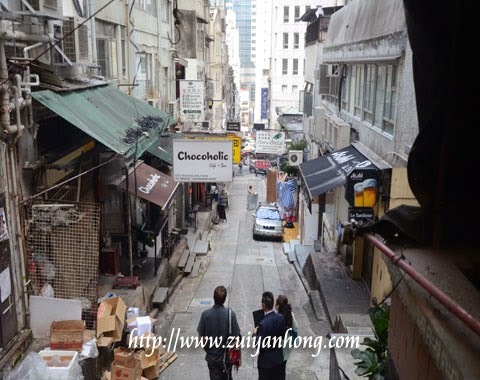 We managed reaching Pottinger Street. It's also a ladder street. That day, we kept on going up and down the ladders around Central. 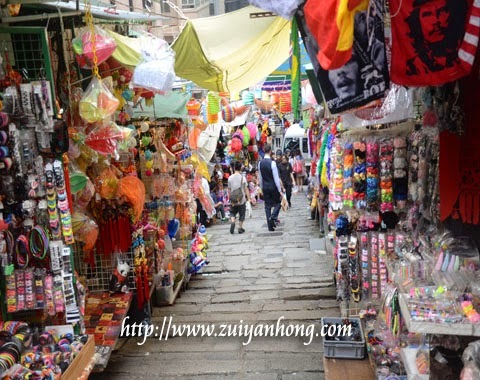 In case you wish to buy some souvenirs, Pottinger Street is the right place to visit. 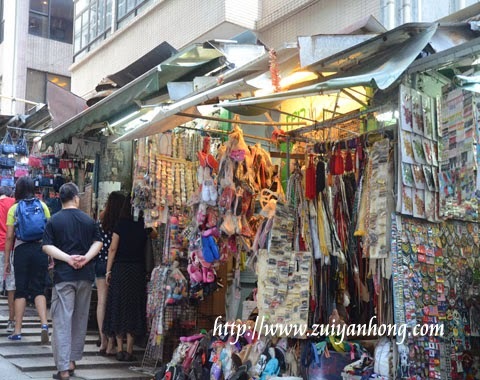 Varieties of interesting stuffs can be purchased there. 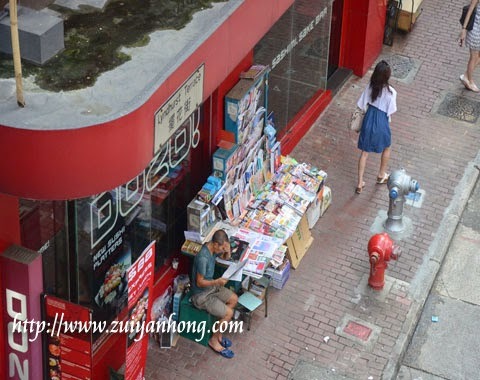 This photo proves that Pottinger Street is the hot spot for tourists all over the world to visit. 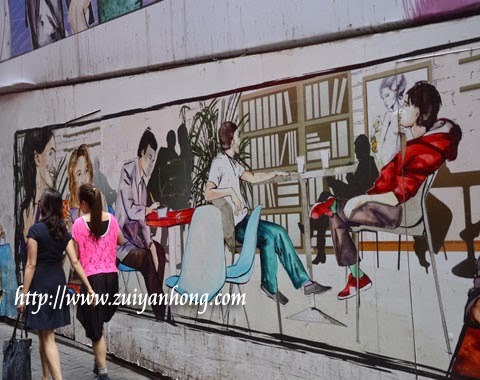 For the coming post, I will blog about Hong Kong Lan Kwai Fong.